Mother Teresa said, "to have courage for whatever comes in life--everything lies in that." When people think about courage, they often think about those who put their lives on the line for us every day, like first responders, firefighters, or police officers. But there are so many others who quietly endure, with steadfast courage, whatever comes their way in life. These people are like the anawhim in the Old Testament--the good, kind people whom very few know about, but who trust in the Lord. He is their strength. It is because of their faith in him that they live their lives with courage to face whatever comes their way. 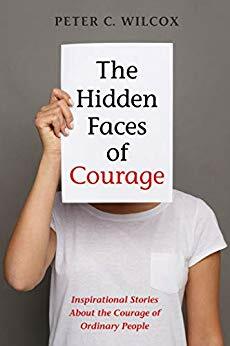 "Psychotherapist Peter Wilcox has written a must-read guide to understand the many faces of courage in our lives by highlighting new ways to reflect on our own self-discovery and growth journey. Client examples suggest practical ways to be more authentic and spiritually strong individually, in our family and work relationships, and as citizens of our complex/ever-changing country and world." "Once again Peter Wilcox provides ample material for thought. He provides an in-depth look at the many ways people exhibit courage. It is a book that lends itself to daily reflection." "Allow your spirit to be uplifted. From the first to last page, Peter Wilcox inspired me to think about the courageous actions of ordinary people in many conceivable contexts. I highly recommend this book. Dr. Wilcox helps us to be more aware of the courage that many people demonstrate daily without external reward. He inspires compassion and a generosity of spirit as well as courage for 'right action' to make the world a better place." The English writer G. K. Chesterton once wrote: "Nothing taken for granted; everything received with gratitude; everything passed on with grace." These reflections are the author's effort, as an older father, to pass on to his daughter, with grace, what he believes is truly important in life. When his daughter was young, he used to tell her that his constant prayer was to live long enough so that "I can get you raised!" Thankfully, that prayer has been answered. But parenting is a life-long process that evolves as we and our children grow older. Through the years, Dr. Wilcox has discovered that being an older father has advantages and disadvantages. If age gives one more life experience and wisdom, then hopefully these reflections will be a way that he can share his life and wisdom with her and others. Most of us don’t think very much about our questions. In our culture, we are accustomed to being able to find answers to nearly any question just by typing it into Google search or asking Siri. But behind any answer, there is always a question. Sometimes, the question isn’t clear to us; sometimes, it is not very well articulated, even to ourselves. But it is always there. In over thirty years as a psychotherapist and spiritual director, Peter C. Wilcox has seen how the questions people ask themselves have shaped their lives in some important ways. 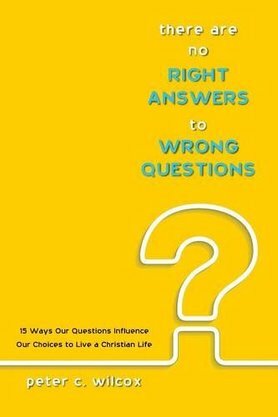 This book is an invitation to see how important it is to learn how to ask the right questions about our lives. This is because our choice of questions leads us on a path of discovery towards answers that help us to grow spiritually and psychologically. Our questions orient our lives and give direction to us. We will see that they enable us to make choices that have a tremendous impact on the kind of person we become. John Henry Newman (1801-1890) was a man who sought to integrate life and holiness. He believed that the spiritual life needed to be lived in an active and dynamic way, touching a person's fundamental attitudes and actions. Although Newman rejected the title of spiritual director as such, it is obvious from his correspondence that directing others through various facets of the Christian life was one of his dominant concerns. Surprisingly, comparatively little has been written about Newman's idea of spiritual direction. ​This book investigates Newman's understanding of spiritual direction during his life as a Roman Catholic, 1845-1890. It examines the major areas in which Newman gave spiritual direction through an analysis of the correspondence from his Catholic years. It also explicates those principles of Newman's own spiritual life that found expression in his direction of others. Newman had a mammoth "apostolate of correspondence" His Letters and Diaries have been edited and published in a series of thirty-two volumes, embracing more than twenty thousand letters. The first ten volumes deal with Newman's Anglican period; the remaining twenty-two volumes cover his Catholic period and are the primary source for this book. These volumes have been studied chronologically in order to determine and extract the major areas in which Newman gave spiritual direction to others, and to investigate the stages of development in his spiritual advice. The well known Austrian poet and spiritual writer, Rainer Maria Rilke encouraged his young friend not to be a ''waster of sorrows,'' but to use them in a positive way as a means to help him grow in holiness. And isn't this the challenge for all of us? Everyone has sorrows in life. The important question is: what can we do with them so that we don't waste them? Whether our sorrows are personal or communal, how can we share our mutual vulnerability so that we can connect with others in a way that leads to growth? For over thirty years as a psychotherapist and spiritual director, Peter C. Wilcox has listened to people's stories about their lives. Often, parts of their stories involve sorrows of one kind or another. Some people become overwhelmed by their sorrows while others have learned how to integrate them into their lives in a positive way. In addition, Dr Wilcox has had a number of articles published in various related journals and periodicals. For a list, please use the Contact page of this website to request a listing.